Tantalizing title for a novel, ain’t it? It throws down an immediate gauntlet, such that you start to read thinking, well, when are you going to tell me? But you soon realize that this actually is a story full not so much with lies, but with quiet elegiac truths which fall not like heavy leather gloves but softly, like melancholy autumn leaves. With the Millennium fast approaching, and ‘the century ahead an uninviting place’, main character Effie reflects on a life of ‘false beginnings and unhappy endings’, and rides the shock waves of getting older. With two failed marriages behind her, both to men she knew from her Cape Breton childhood, she has recently embarked on a promising new relationship with yet another blast from her past. And yet so long have both husbands been intermingled with her own ‘peculiar history’, that to move on from them, and from the painful events of her childhood – even in late middle age – proves impossible. Previously unknown to me (he is in fact a prize-winning novelist), I discovered that the author is a prominent investigative broadcast journalist in his native Canada. From this, I anticipated a topical novel, or at least one of wider, thriller-ish scope. Actually its limited latitudes and thoughtful introspection are its great strengths. And the character of Effie is beautifully drawn. 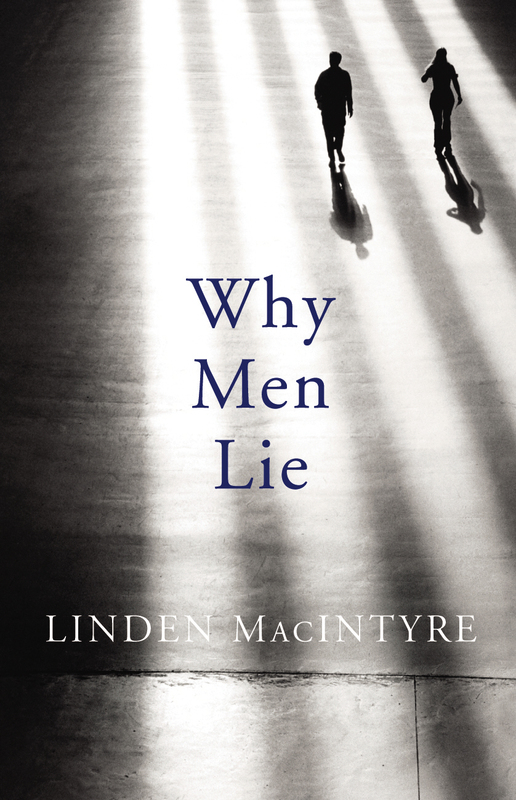 MacIntyre certainly gives the lie to the idea that men can’t write convincing female characters. In his Acknowledgements, he says he dared to do so, having, unlike Effie, grown up surrounded by women. So why do men lie? Surprise, surprise, the answer is elusive. But the point is that women – yes, you know it – lie too. Though certain differences between the sexes are thoughtfully examined (‘Women…mature, accept things. Men just age and grow anxious.’) all the characters are, in the end, sustained by their shared histories and entrenched love for one another, despite everything that time has inflicted. What Effie learns – finally and painfully – is not so much what motives lies as the fact that she ‘must never assume she knows anybody. The human personality is like a wardrobe, with varied examples of expression to produce reactions in another, or a slew of others.’ This accomplished and moving novel reminds us – as Jane Austen long ago realized – just how rarely any of us tells the truth. Particularly about ourselves.